Splash! has launched a swimming program called Splash! Angels. 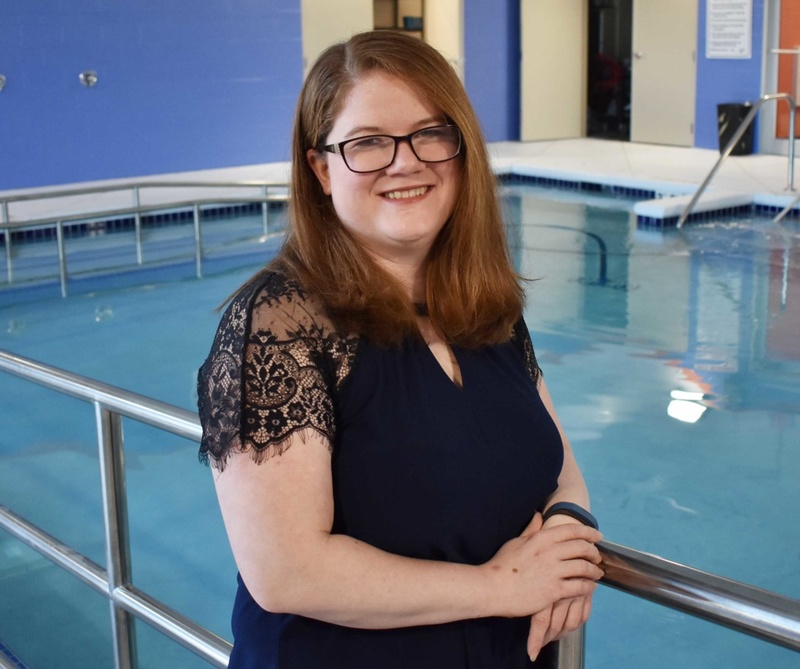 It is designed to address the challenges that children with autism, down syndrome, sensory disorders, behavior and physical limitations encounter when learning how to swim. The new pool we have added at Splash! 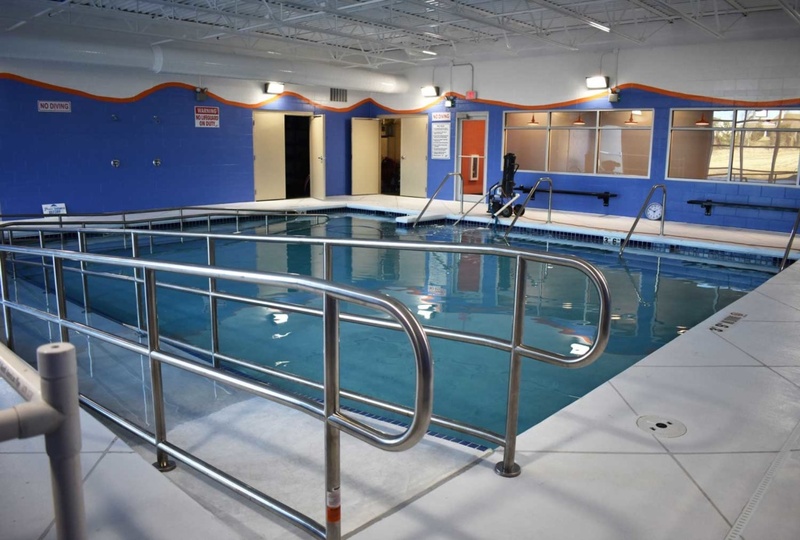 has a ramp, will be kept at 90°F, and is specifically designed to provide easier access for our swimmers. Splash! Training Supervisor Shelby Link will be leading this program. Shelby has over 15 years experience teaching, and she also holds Swim Angelfish Methodology Certification. This specific methodology training works to improve swim skills and safety for swimmers with a whole spectrum of unique challenges. Swimming is a safety skill, and every child deserves to learn how to swim. Children’s unique learning styles should be accommodated; and while we work on this in our traditional swim lessons, we have advanced training with Splash! Angels. It is not therapy, but instead swimming lessons using special techniques to help non-traditional learners thrive in the water. These swimming lessons are taught 1-on-1 to children of all ages, even as young as 2 years old. Our program will utilizes teaching methods & strategies such as body awareness, relaxation & de-escalation techniques to reduce anxiety. In these classes, we focus on safety skills, drowning prevention, treading water, survival skills and more. We also consider non-traditional strokes to best suit each swimmer’s needs. We use tools such as flashcards, weights and whiteboards to help our swimmers stay focused. For additional information, please email Splash! Training Supervisor Shelby Link directly at shelby@splashmequon.com to set up a free consultation with us. We can help determine if Splash! Angels would be a good fit for your child. Our program is located at Splash! Swim + Wellness @ 10636 N. Commerce St. Mequon, WI, 53092. Splash! Angels Program Director Shelby Link & our new Splash! Angels Pool. Our new Splash! Angels pool – opened January of 2019. One of our Splash! 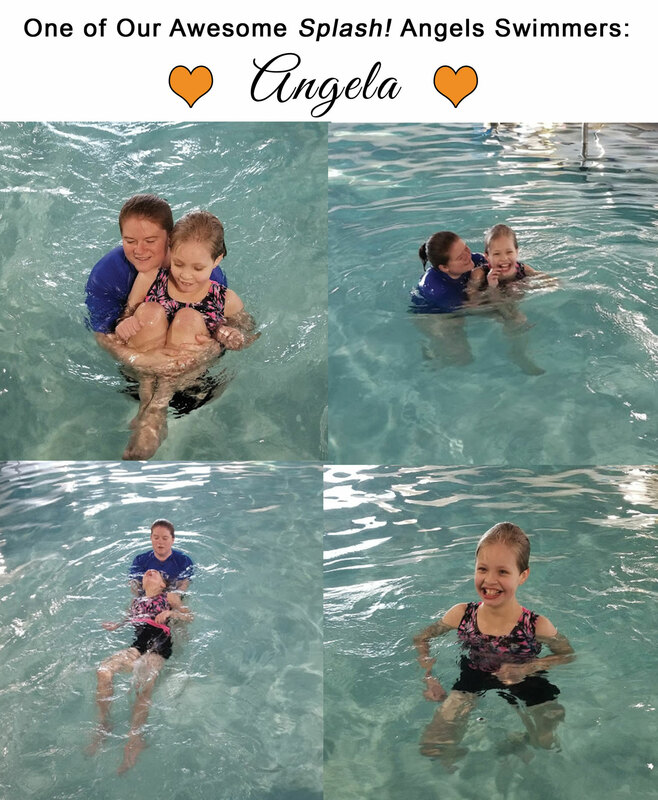 Angels coordinating kicking on back with Elementary back stroke for the first time!